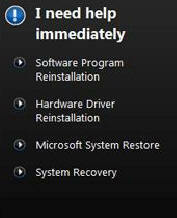 To start the recovery from the CD/DVD put it into the drive and restart the computer. If the hard drive recovery partition is still intact you will be prompted to run the recovery from the hard drive or the disk. Choose appropriately.